A few years ago, a small Romanian headphone company called Meze Audio took audio communities by storm with a gorgeous pair of $309 headphones, the 99 Classics. Here was a headphone clad in wood and aluminum that didn’t make any claims or revolutionary technology, artist collaborations, or gimmicky features – just great design and sound. The name now seems like foreshadowing, as the Classics are now among the most recommended headphones on audio enthusiast networks. Meze followed them up with the 99 Neo which features a very similar sound but replaces the wood with a stealthier black plastic and brings the price down to a $250 MSRP (though they normally sell for $199 nowadays). The Neo is the headphone I’m reviewing today. Here’s the TL;DR: If you’re in the market for your first pair of closed-back headphones that prioritize sound quality over features, these should be near the very top of your list. Even if you’ve already built up a collection of headphones, the 99 Neo is well worth your consideration – it gets so many things right. 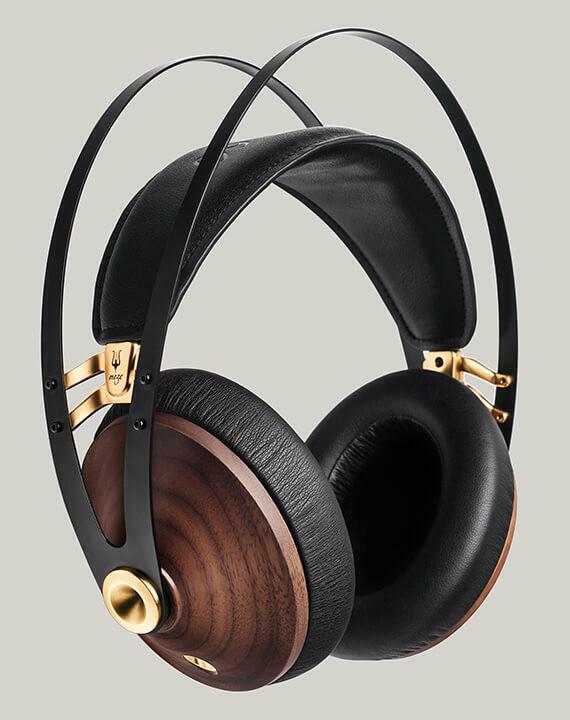 It starts with the design: This headphone is gorgeous. While I would personally pay up for the wooden Classics – the rarely available Maple Silver is particularly stunning – the Neo is an attractive solution for those who prefer their gadgets black as night. They’re also really cozy. The pleather earcups are soft on the noggin, and the automatically-adjusting headband makes it easy to find a perfect fit. There’s no noise-canceling circuitry here, but they block some outside noise passively and don’t leak much back out. The build is simple and solid, a timeless design that feels like it can genuinely last years. And though the elastic headband means they don’t fold up, a classy rigid case is included for transport. But it’s not just that they’re well built. Meze goes a step further, by proving that pretty tech doesn’t need to be irreparable. In an era of gadgets held together by a snotload of glue, the Neo is meant to be buyer-fixable. The cable is detachable and includes a microphone and play/pause button. There is no adhesive, only screws. You can even buy driver replacements right off of the web. It’s a model I wish more manufacturers throughout the industry would adopt. Form follows function. 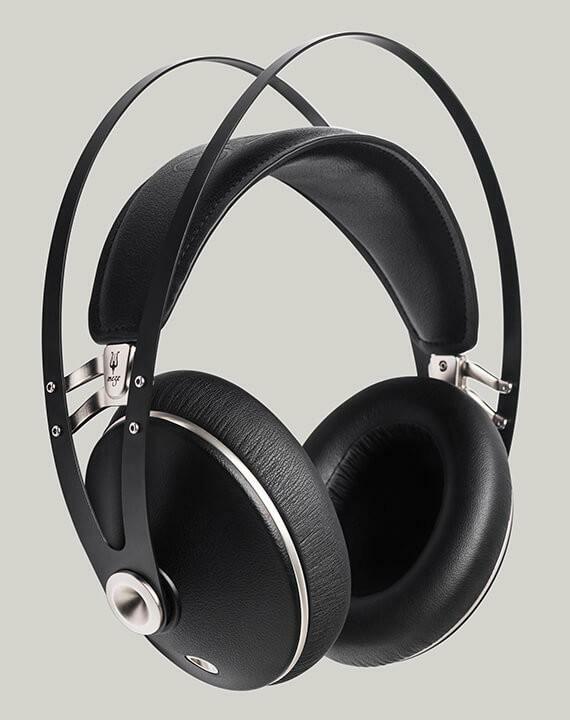 The Meze 99 are popular for a reason: their sound signature is immensely agreeable. Unlike many audiophile headphones, these should be immediately enjoyable for anyone transitioning from more consumer-oriented products. In audio jargon, the overall sound is warm, with plenty of low-end that’s rarely overbearing or congested. Importantly, this warmth comes without sacrificing the treble, which walks that fine line of detail retrieval without harshness or sibilance – cymbals, tambourines and brass sound crisp without hurting your ears. I listened out of my iFi iDSD Micro BL, but they sound great out of a smartphone too. The mids are slightly pushed back compared to the frequencies around it but don’t get lost in the mix and maintain plenty of detail of their own. The low-end warmth coming from the bass helps give instruments like cellos and guitars more physicality than some more analytical headphones. That bass isn’t the fastest I’ve heard, and I wish it had a bit more oomph in the lowest sub-bass and a bit less mid-bass, but again, these are $199 headphones. Being closed back headphones with relatively small earcups, they don’t have the widest presentation, but that’s only something you’ll notice if you’re coming from open-back headphones or much more expensive (and far bigger) closed-backs like the Sennheiser HD820. Instrument separation is more impressive, allowing you to hear layers of sound(as opposed to generic acoustic mush) when things get busy. For some context against more popular Bluetooth headphones, the 99 Neo outclasses the Sony’s WH-1000XM3, Sennheiser PXC 550, Bose’s QC35, or Bower and Wilkins’ PX to my ears. In every case, the Meze is the more refined headphones: it extracts more detail from busy tracks, has a more expansive soundstage, and presents a more pleasant frequency response. Of course, that’s an apples and oranges comparison, as the Meze doesn’t provide active noise canceling. But if all you’re looking for is sound quality, you could buy something like Fiio’s BTR3 to add Bluetooth capabilities to the Meze and still save some money. The 99 Neo is the jack of all trades, master of none. For once, that’s not a slight; Meze has built a versatile all-rounder at a very fair price. It’s not the pinnacle of audio, but they will get your toes tapping, while revealing your music’s secrets if you pay attention. The 99 Neo is the type of headphone I can listen to for any genre, when I just want to get lost in the music without worrying about all the minutiae of performance. You can get better technical performance by spending more and/or opting for an open design, but you’d be hard pressed to find another pair of closed-back headphones that look, feel, and sound this good without spending a lot more money. Whether as a gift for someone else or the latest addition to your headphone collection, the Meze 99 Neo is a no-brainer recommendation at $199.